Congratulations to the DRI CANADA 2018 Awards of Excellence Recipients! 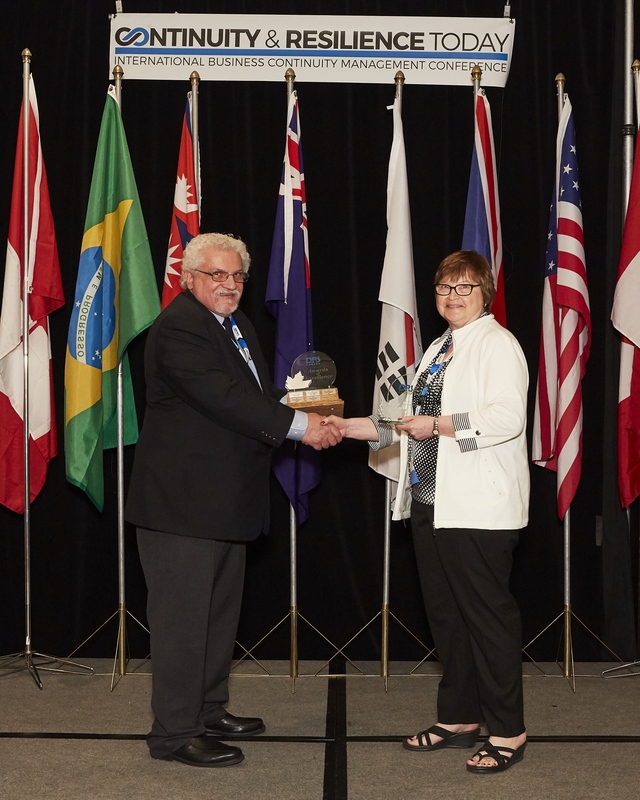 The DRI CANADA Awards of Excellence honour individuals who are leaders and innovators in the fields of Business Continuity and Technology Recovery (BC/DR). 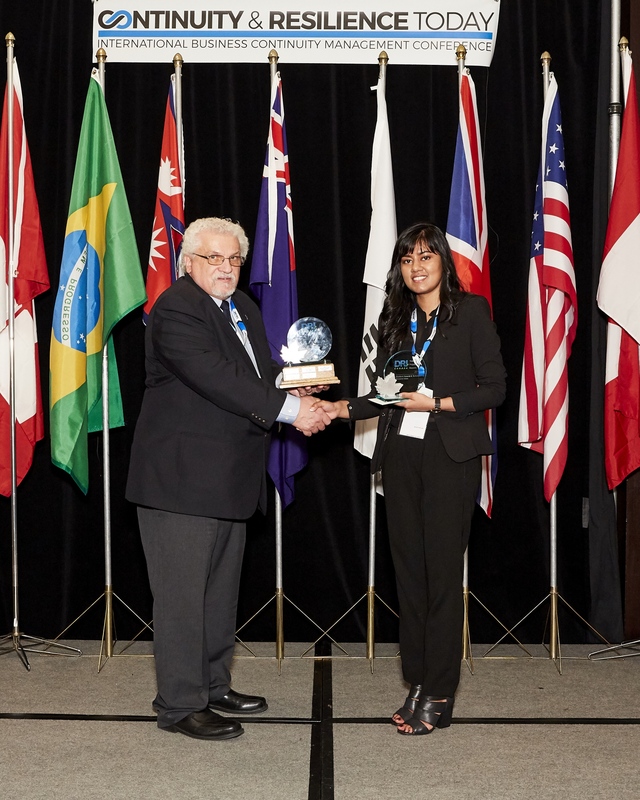 DRI CANADA believes that it is our duty to recognize and celebrate excellence and we have committed to continuing the Awards of Excellence program to achieve this strategic goal. 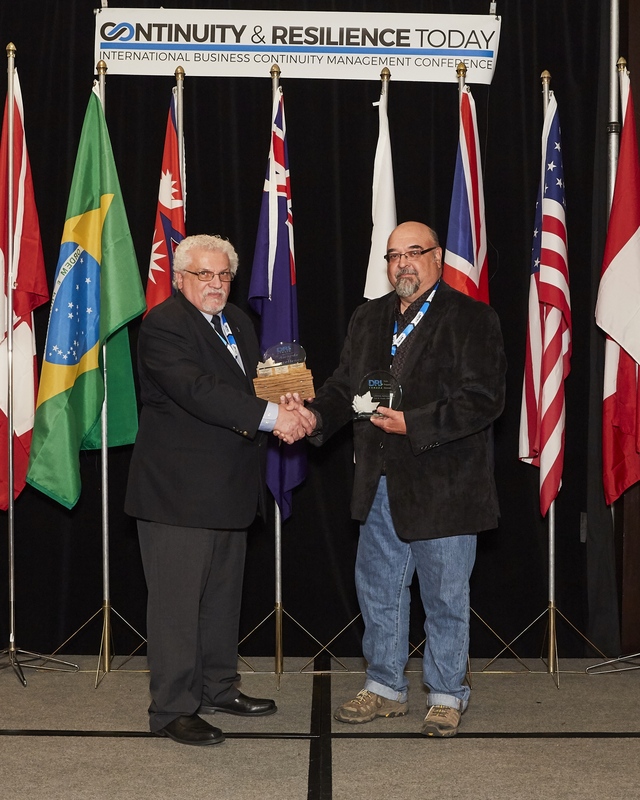 This year's award winners were honoured at the 2018 Continuity Management Symposium held in Toronto. This Lifetime Achievement award is granted to a person who has demonstrated exceptional achievement within the Business Continuity and Technology Recovery (DR) industry. Such achievement must be demonstrated by the professional excellence over the course of a significant career. This DRI CANADA Builder award is granted to a professional who has made a significant contribution to the development and growth of DRI CANADA. This Student Scholarship Award is granted to recognize a post-secondary student who has, in the past year, presented an exceptional scholarly work (academic paper, report, project, presentation, etc.) to mitigate or resolve business operational issues by using the DRI Professional Practices for Business Continuity Practitioners.